Fresh Fruit and Vegetable Program is back! Did you know that grapes are actually berries? Did you know that the vitamin K found in fresh fruits and vegetables plays an important role in blood clotting and bone health? The Fresh Fruit and Vegetable Program is teaching BPS elementary students these fruit facts and many more! Nancy Urena, FFVP Onsite Coordinator from the JF Kennedy Elementary School in Jamaica Plain. What is the “Fresh Fruit and Vegetable Program”? 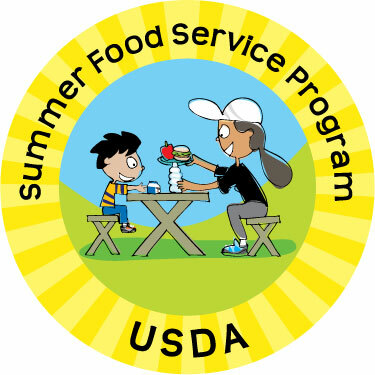 The Fresh Fruit and Vegetable Program (FFVP) is a federally funded program providing additional servings of fresh fruits and vegetables to students in participating elementary schools during the school day. The goal of the FFVP is to improve children’s overall diet and create healthier eating habits to impact their present and future health. 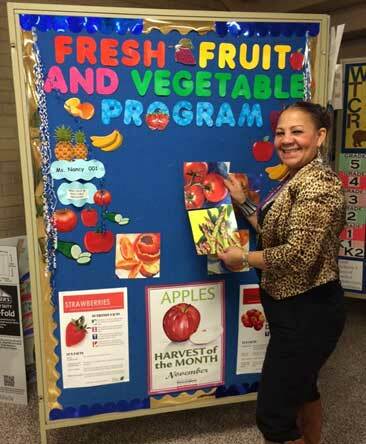 This year FFVP is serving up healthy, fresh produce snacks 3-4 times a week in 27 Boston Public Schools. This program is not only increasing children’s fruit and vegetable consumption, it is also expanding the variety of fruits and vegetables children experience. So far this year students have tried pineapples, grape tomatoes, sugar snap peas, baby bananas, satsumas and more! Stay tuned for other produce trivia, fun lessons for kids, and facts about local foods from FFVP this year!